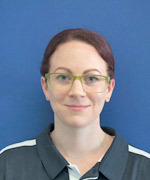 Laura completed her Diploma of Remedial Massage in 2011 at Perth TAFE. Since then she has completed additional study in soft tissue occupational therapy, acupressure, reiki and dry needling. Laura comes to us with experience in anything from relaxation massage to pregnancy, sports and deep tissue massage. In her spare time Laura enjoys practicing yoga and meditation, walking, and catching up with friends.